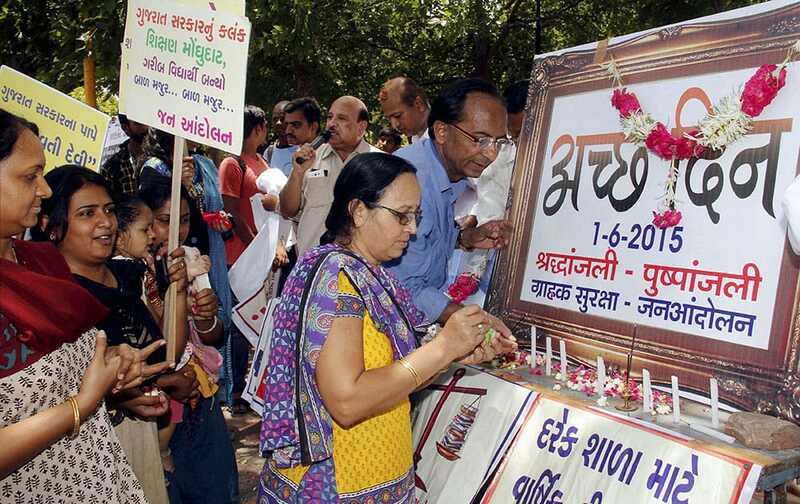 Members of the Consumer Protection and Action Ccommittee observe death anniversary of “Achchhe Din” during a protest against hike in service tax in Ahmedabad. Spain's Garbine Muguruza returns in the fourth round match of the French Open tennis tournament against Italy's Flavia Pennetta at the Roland Garros stadium. 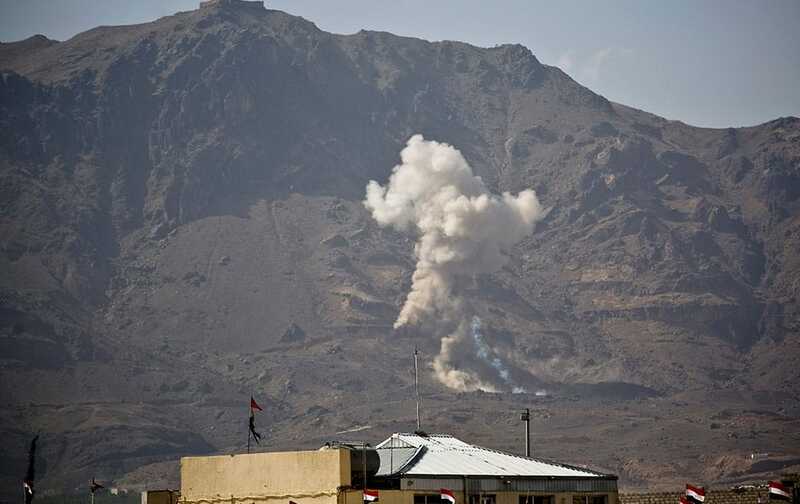 Smoke rises after a Saudi-led airstrike hit a site believed to be one of the largest weapons depot on the outskirts of Yemen's capital, Sanaa. 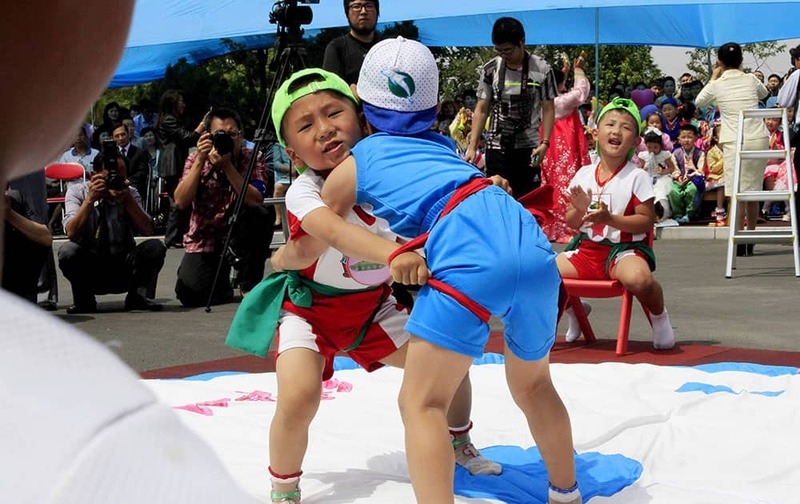 North Korean boys play the Korean wrestling during an International Children’s Day event at an orphanage in Pyongyang, North Korea. 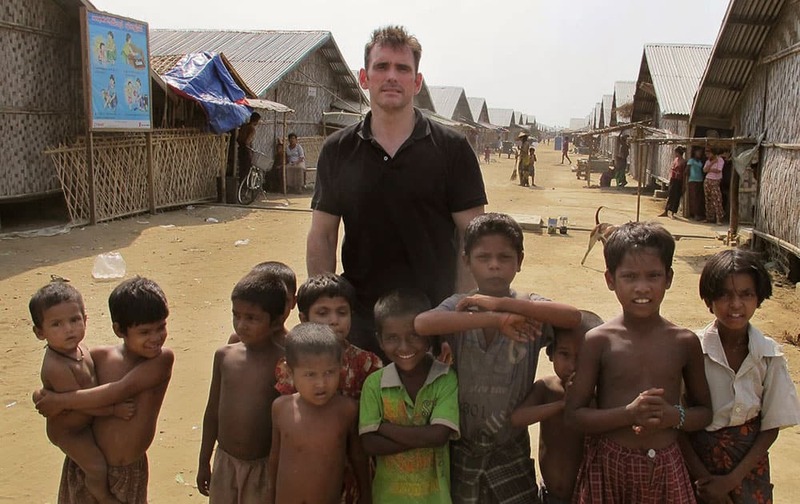 American actor Matt Dillon poses with Rohingiya children at a camp for refugees, north of Sittwe in the western state of Rakhine, Myanmar. 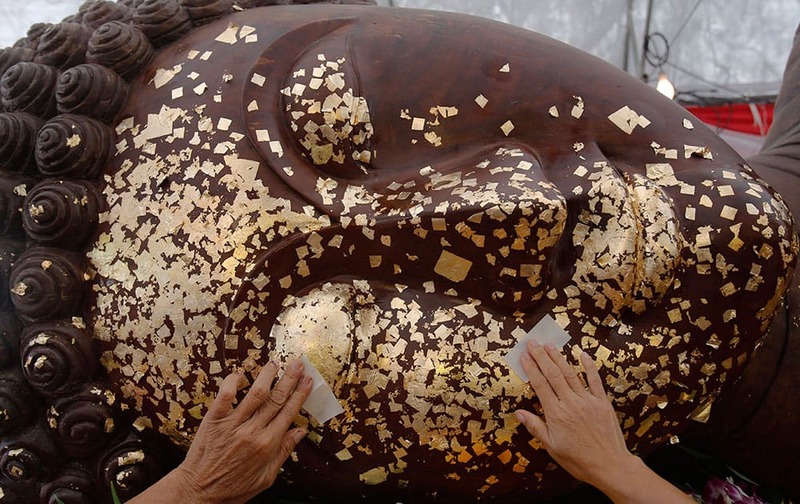 Thai Buddhists put gold leaf on the face of a giant Buddha statue for good luck at Royal Field in Bangkok, Thailand, as part of Wesaka Bucha activities. 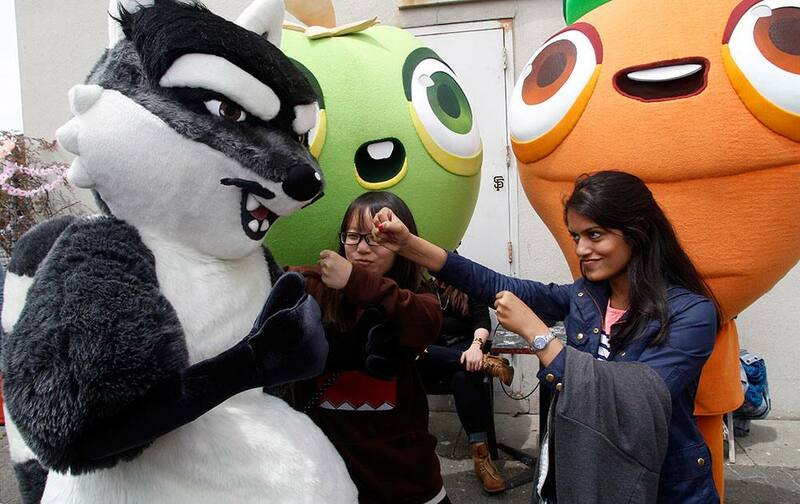 Mobile gaming fans experienced a life sized Farm Heroes Saga world in celebration of the game’s largest ever feature extension, ‘Farm Club’. King Digital Entertainment – the creators of the Candy Crush franchise – hosted a floating farm party in the San Francisco Bay. 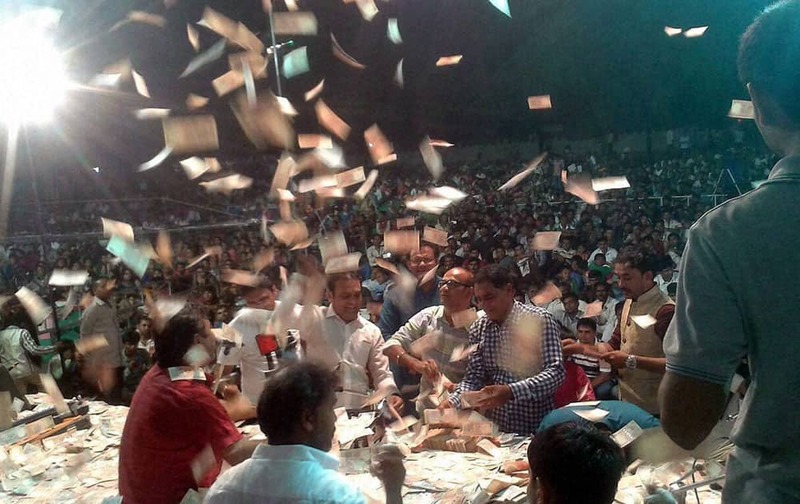 People throw huge Indian rupees during the religious song programme at the inauguration of a temple in Kahambalia village of Jamnagar district. 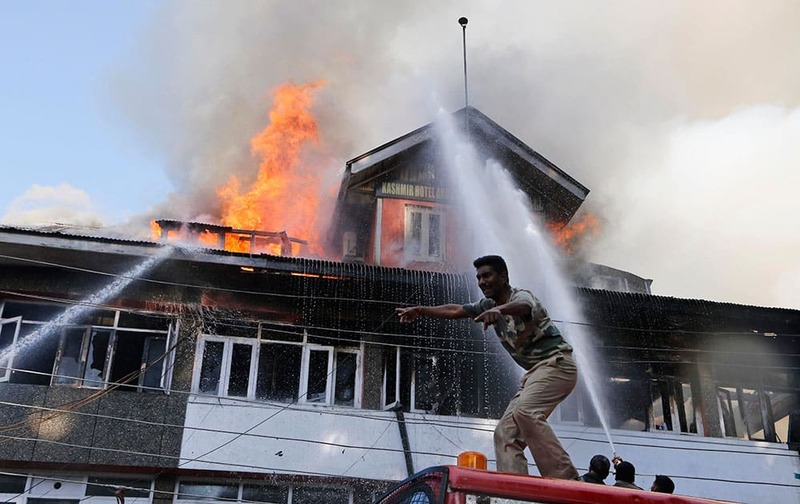 A paramilitary soldier gives directions as he stand on a fire engine, as firefighters work to extinguish a fire in a building in Srinagar. 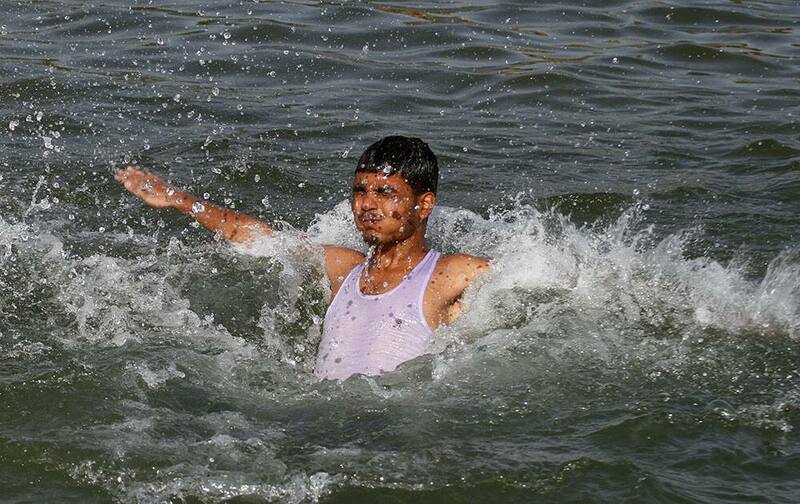 A man jumps into the River Sabarmati to beat the heat on a hot summer day on the outskirts of Ahmadabad, India. 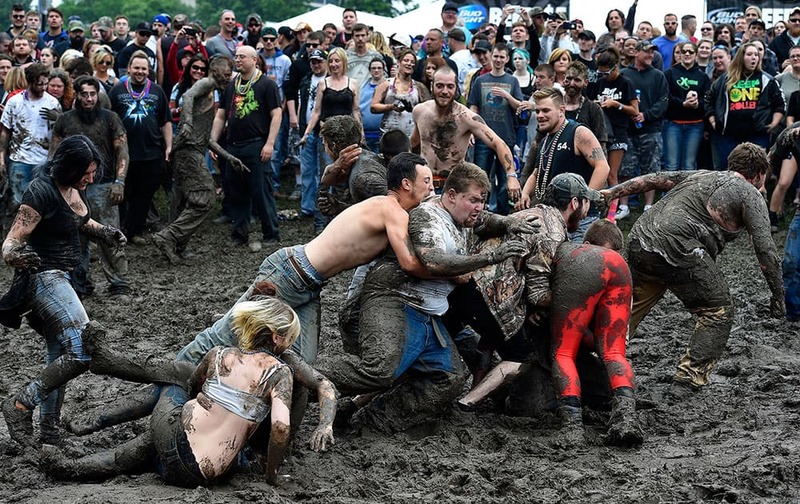 Spectators wrestle in the mud during Rockfest at the Liberty Memorial in Kansas City, Mo. 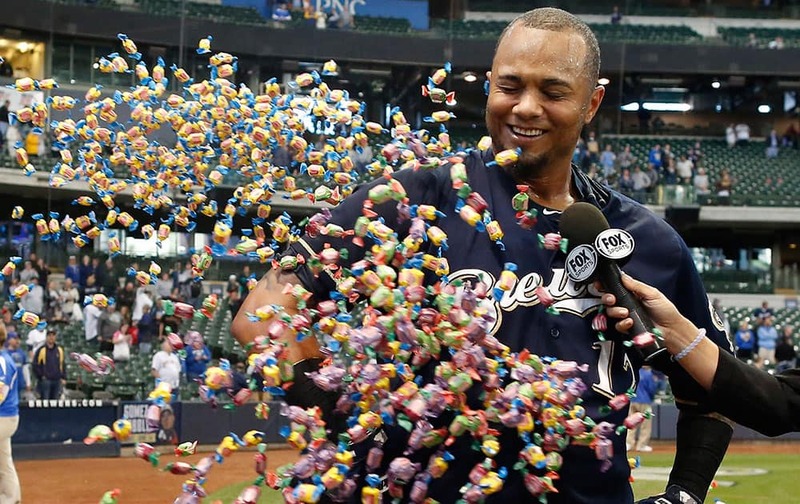 Milwaukee Brewers' Martin Maldonado is showered with bubble gum during a post game interview after their 7-6 victory against the Arizona Diamondbacks in a 17 inning baseball game, in Milwaukee. Texas Rangers' Elvis Andrus, background, and Robinson Chirinos, right, douse teammate Josh Hamilton in celebration of his 2 RBI walk-off hit during the ninth inning of a baseball game against the Boston Red Sox, in Arlington, Texas. 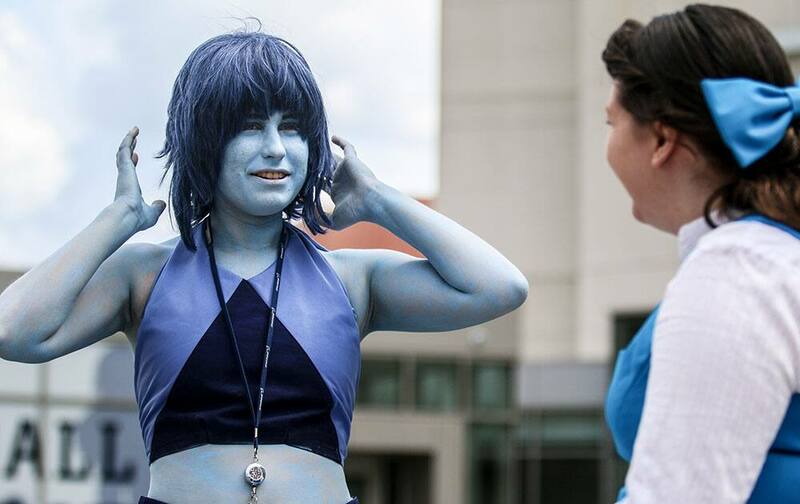 Two women discuss their costuming plans at the MomoCon anime, gaming and comic book fan convention, in Atlanta. 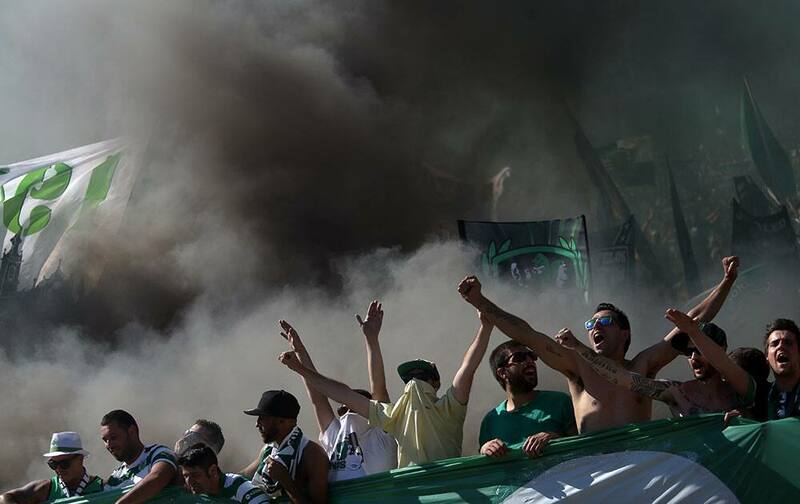 Sporting supporters cheer during the Portugal Cup final match between Sporting and Braga at the National stadium, in Oeiras, near Lisbon, Portugal. 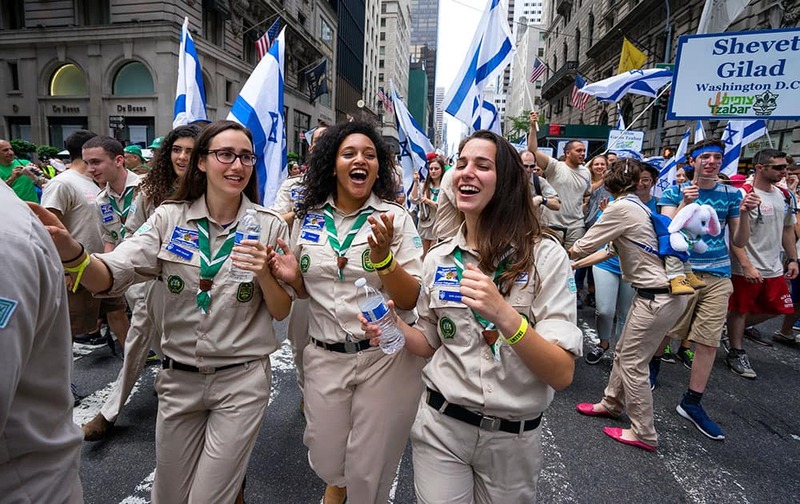 A delegation of Israel Scouts march along Fifth Ave. during the Celebrate Israel Parade, in New York. Keegan Kincaid, left, and P.J. 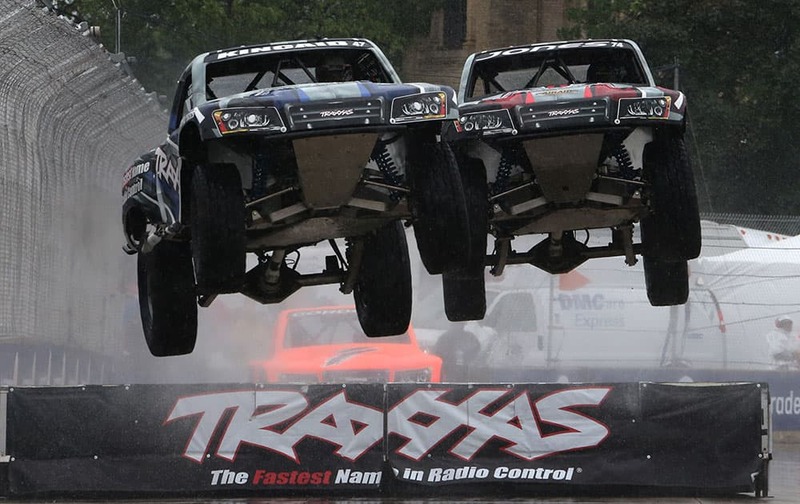 Jones hit a jump during the SPEED Energy Formula Off-Road race before the second race of the IndyCar Detroit Grand Prix auto racing doubleheader, in Detroit. 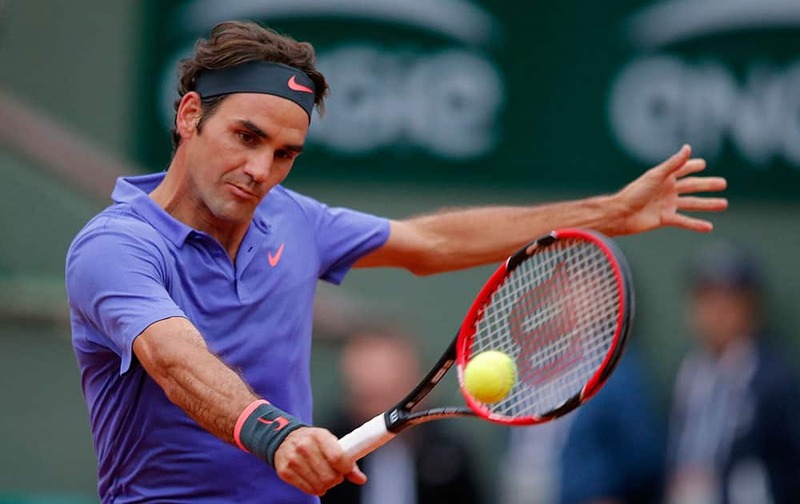 Switzerland's Roger Federer returns the ball to France's Gael Monfils during their fourth round match of the French Open tennis tournament at the Roland Garros stadium. 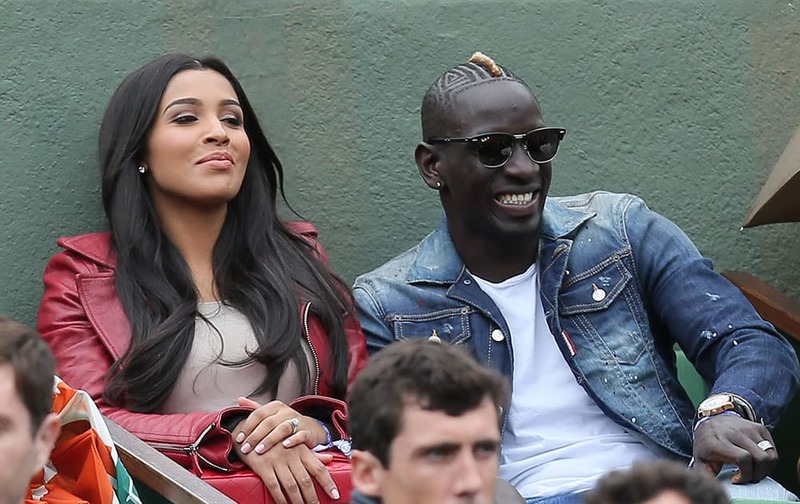 Liverpool French soccer player Mamadou Sakho and his wife Majda watch France's Jo-Wilfried Tsonga playing Tomas Berdych of the Czech Republic during their fourth round match of the French Open tennis tournament at the Roland Garros stadium. 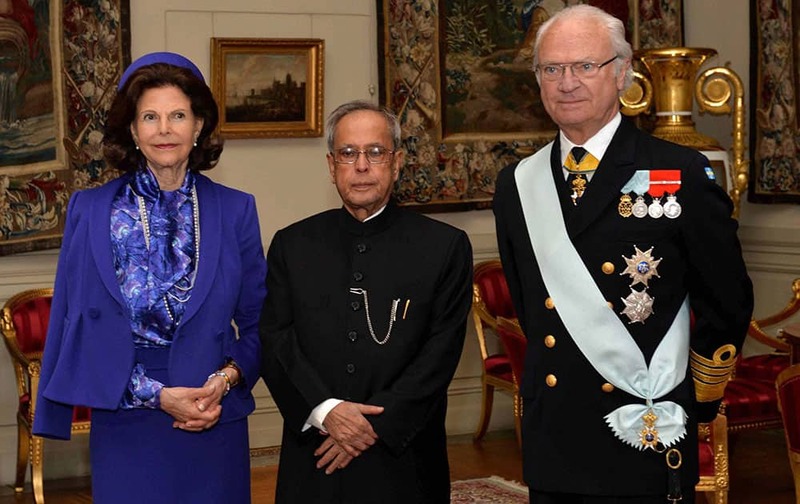 President, Pranab Mukherjee with King Carl XVI Gustf and Queen Victoria at the royal palace in Stockholm, Sweden. 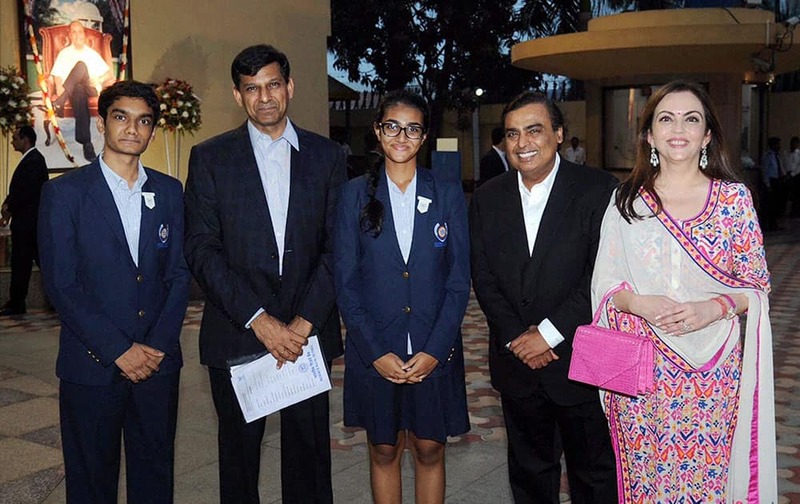 (L to R) Chief guest RBI Governor Raghuram Rajan, Mukesh Ambani (CMD, Reliance Industries Ltd.) and Nita Ambani (Founder & Chairperson, DAIS) along with graduating students at the 11th Graduation Ceremony (Class of 2015) of Dhirubhai Ambani International School, in Mumbai.